Goodreads Summary: Galen is the prince of the Syrena, sent to land to find a girl he’s heard can communicate with fish. Emma is on vacation at the beach. When she runs into Galen—literally, ouch!—both teens sense a connection. But it will take several encounters, including a deadly one with a shark, for Galen to be convinced of Emma’s gifts. Now, if he can only convince Emma that she holds the key to his kingdom . . .
Confession time: As a child, whenever I was at a pool or the beach, I always wanted to pretend to be a mermaid. I thought it would be awesome to be Ariel and swim around with friends like Flounder and Sebastian. Now, whenever I see tales about mermaids, I want to read them. Of Poseidon is certainly a story that lives up to its gorgeous cover and all of its possibilities. Despite living on the Jersey shore, Emma has never been a huge fan of the water. But when she goes on vacation with her friend to the beaches in Florida, not only will she be forced to swim, but also this swim will change the course of her life. Galen thinks that Emma could be just the person he is looking for, but convincing Emma that she is will be no easy task. Emma may have a lot to learn about herself and Galen's undersea world, but Galen has just as much to learn about Emma. Sparks might fly between them, but there are other plans that might threaten Galen and Emma's happiness. Can Emma accept the truth and embrace her destiny? And if she does...what will happen to Galen? 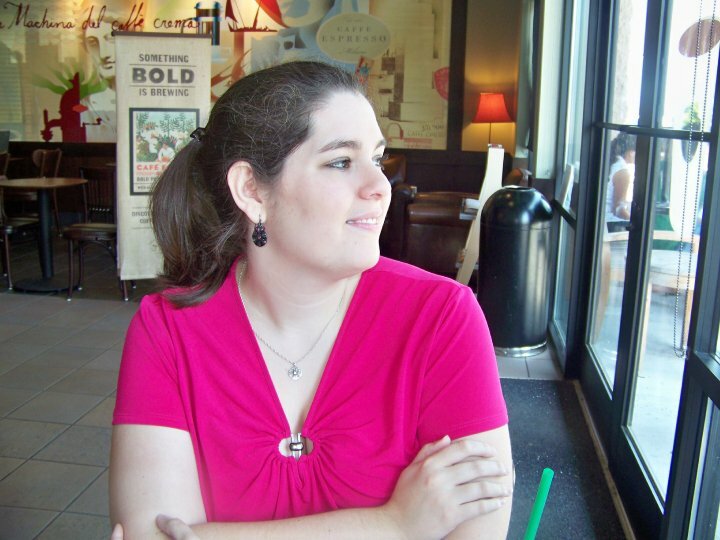 Forget any preconceived notions you may have of paranormal YA books where the heroine doesn't know she's paranormal. Of Poseidon will blow them all out of the water...literally. We are almost thrown into the middle of the story with Emma running into Galen, and the fast pacing, snappy banter, and sizzling romantic tension never abates for the remainder of the novel. I enjoyed watching Galen trying to navigate life on land with a little help from Emma and Rachel, and with Toraf, one of Galen's Syrena friends, in the picture, there is no shortage of laughter. I also loved learning the history and lore of the Syrena and reading about the underwater adventures that Galen and Emma shared. Also, being able to read from both Emma and Galen's perspective was quite interesting; I felt like I came to know both of them better and it allowed me to understand Galen's world in a way I wouldn't have otherwise. Did I mention that Of Poseidon doesn't follow so many conventions that other novels do? I liked that Emma did not merely acquiesce to what Galen wanted and told her. Instead, she wanted her own answers and, prince or not, she wasn't one to let him order her around. I also appreciated that not everything was perfect between Emma and Galen. There were real obstacles, but moreover, there were real feelings, which made loving their relationship so much easier. Of Poseidon will draw you in and have you floating away with the story, and after that ending, I am dying to know what happens next! This is a fantastic debut from Anna Banks that you will not want to miss. I liked this book! I agree that their adjustment to life on land was funny, at times. That added some humor to the story. Also, what a cliffhanger ending! OOOh nice!! Seeing this around and getting very curious now! Love the cover! And loving that mermaids are getting so popular! I too used to pretend to me a mermaid! I have this ARC on my shelf and hope to read it soon. I really enjoyed your review! Ooh! 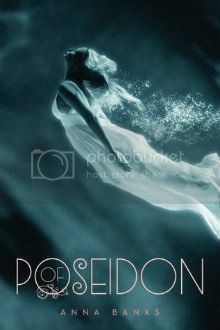 I really want to read Of Poseidon it looks brilliant!